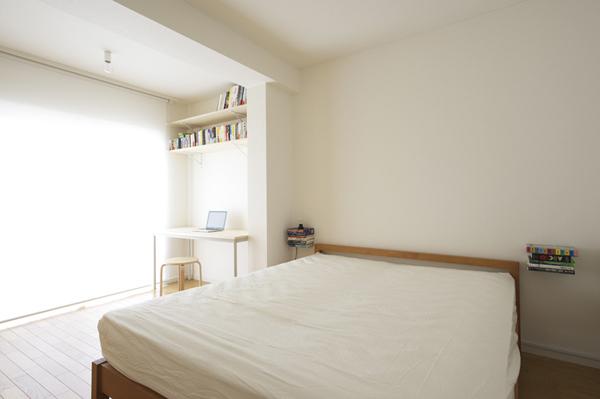 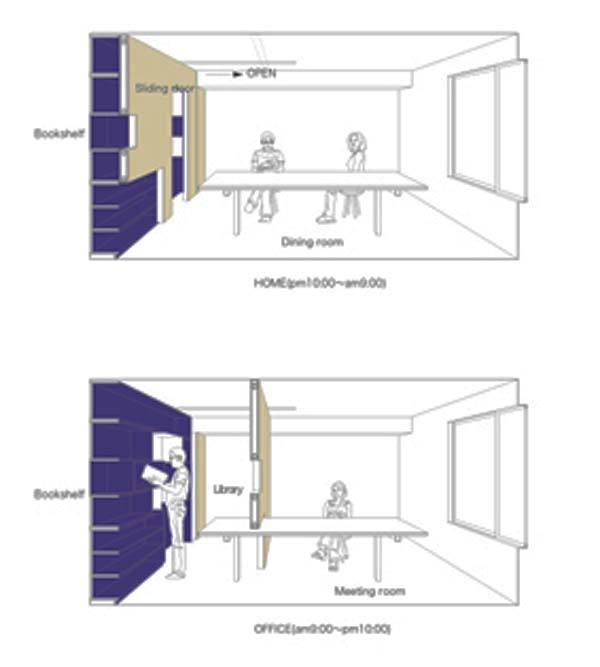 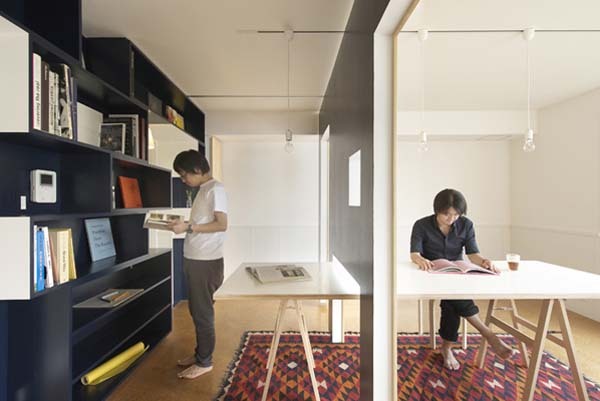 Yuko Shibata found a simple solution to turning a simple apartment into a hybrid office/living space. 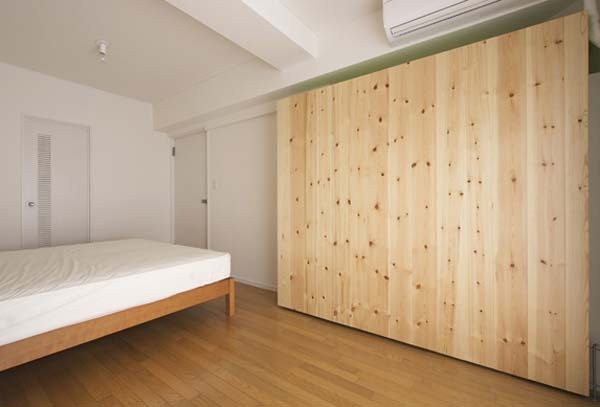 Two mobile walls were installed in order to separate the spaces and give the place a contemporary feel. 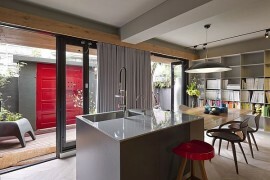 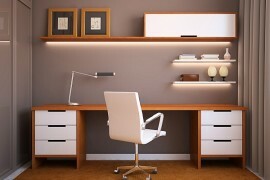 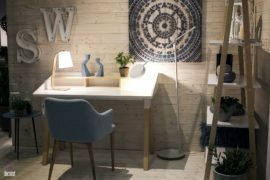 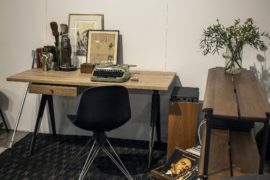 The former living space was transformed from the original structure – a box frame type reinforced with concrete walls, with almost all walls acting as supporting building frames – into a home office that has everything needed for work related problems. 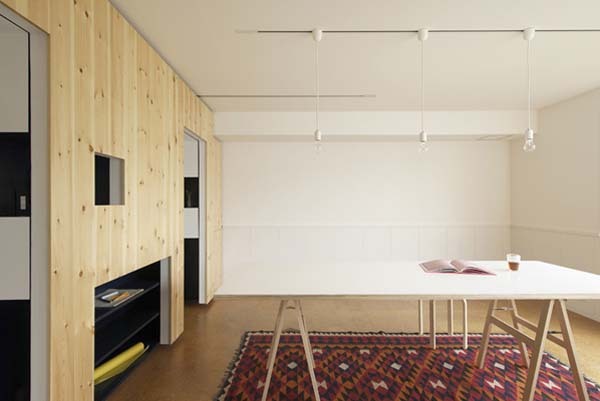 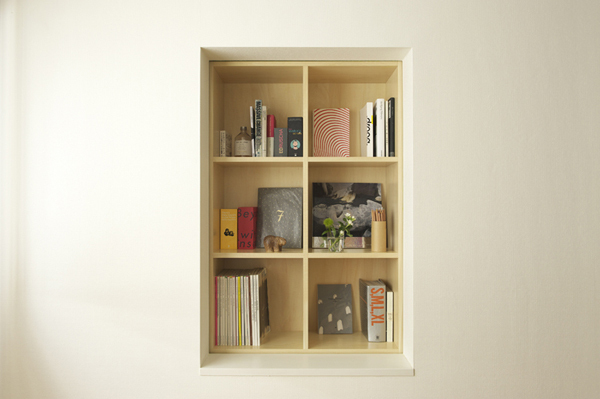 Yuko Shibata installed two bookshelves, each having a large door, that separate the living space from the office space. 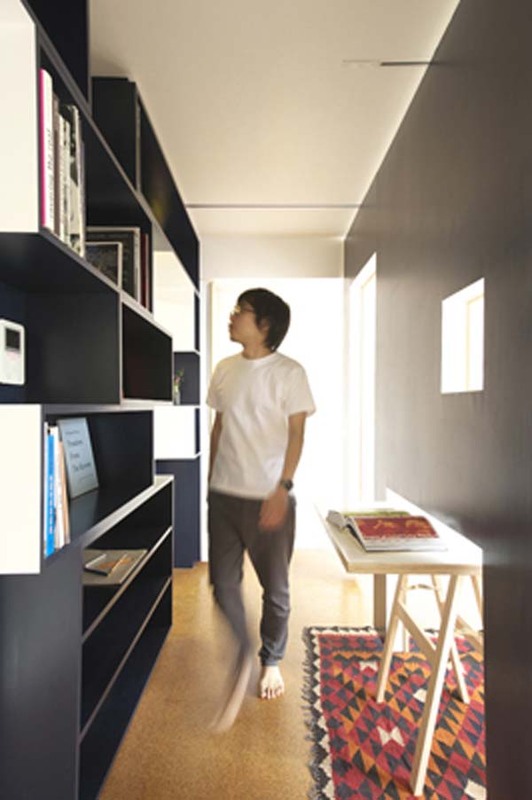 One of the bookshelves was added to the living area, creating a meeting room and a library, while the other bookshelf found its place in the bedroom, creating a library used for work whenever the door to the bedroom is left open. 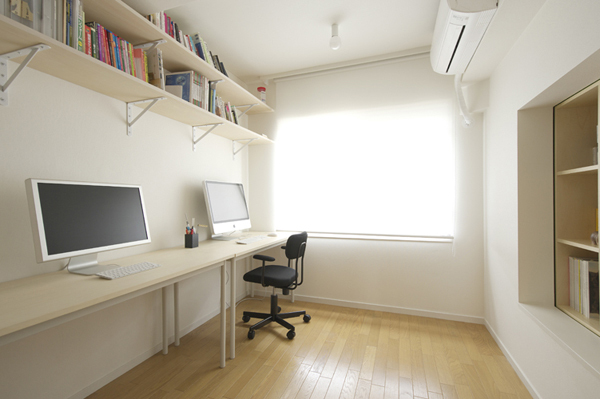 This insures that the bedroom is not seen from the office. 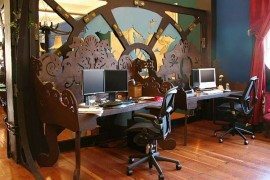 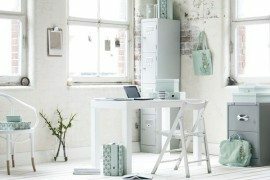 Creative solutions like this partitioning are always welcome in small spaces, making ideas come to life for the benefit of human kind.